Marcus Hooper has stepped down from his position as executive director and head of Europe at block trading facility Aritas, as the firm seeks to reposition its offering in the region. Marcus Hooper has stepped down from his position as executive director and head of Europe at block trading facility Aritas, as the firm seeks to reposition its offering in the region. Hooper joined Aritas, formerly known as Pipeline, in 2007 when the firm began building its European business. Aritas initially had plans to launch its block trading venue as a multilateral trading facility in April 2009, but faced a series of regulatory delays that postponed its introduction until May last year. According to figures from Thomson Reuters Equity Market Share Reporter, Aritas traded €934,853 in October 2011, the last month it published trading volumes with the data vendor. 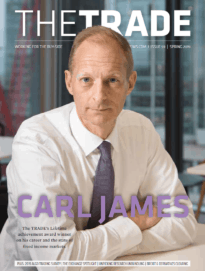 Jay Biancamano, executive chairman at Aritas, told theTRADEnews.com in late January that the firm’s European strategy was being evaluated. Prior to its rebranding as Aritas, Pipeline’s US business was the subject of a regulatory investigation by the Securities and Exchange Commission (SEC). The SEC found that Pipeline failed to notify customers how their orders were being handled, with many filled by an affiliated proprietary trading firm. 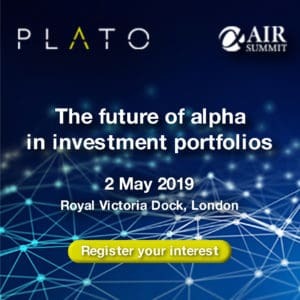 Aritas is now starting to rebuild and will focus on revamping its Alpha Pro product, a tool that recommends trade execution strategies based on real-time analysis of comparable past orders and outcomes. The block trading venue operator has also enhanced its Algorithmic Switching Engine, which uses a range of algos to execute orders based on the strategies suggested by Alpha Pro. “The team in London is strong and we expect them to play a leading role in growing our next-generation Alpha Pro business,” said Biancamano.